The Bü 182 Kornett was a single-seat aerobatic trainer developed in parallel with the Bü 181 Bestmann side-by-side two-seat primary trainer and intended as a successor to the Bü 133 Jungmeister biplane. 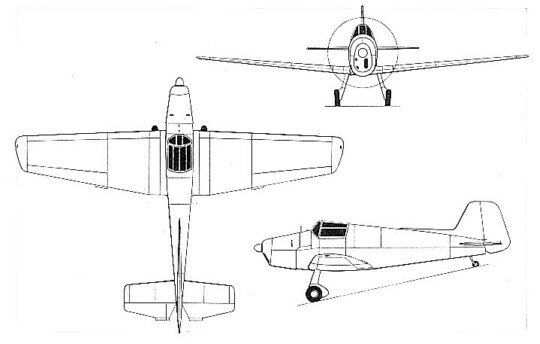 The first prototype, the Bü 182A, was powered by a 60 hp Walter Mikron II engine and was flown for the first time late in 1938, but the four additional machines of this type built as prototypes for the proposed production Bü 182B, and Bü 182C versions of the Kornett were powered by the 80 hp Bücker Bü M 700 four-cylinder inline air-cooled engine. The Kornett followed standard Bücker structural practises in having an oval-section fuselage, the forward portion of which was of chrome-molybdenum steel tubing and the aft portion a wooden monocoque, and wooden wings and tail with plywood skinning. In addition to aerobatic training, the Komett was also intended to initiate pilots in dive bombing techniques, and for this purpose provision was made for four 1,5-kg bombs on external racks. In the event, no series production of the Kornett was undertaken.